KLAXON productions brings Julian Mitchell's award winning play 'Another Country' to the Pilch in 4th Week of Trinity Term. This is a story about sexuality, politics and rebellion and is going to be given a new raw and energetic staging. 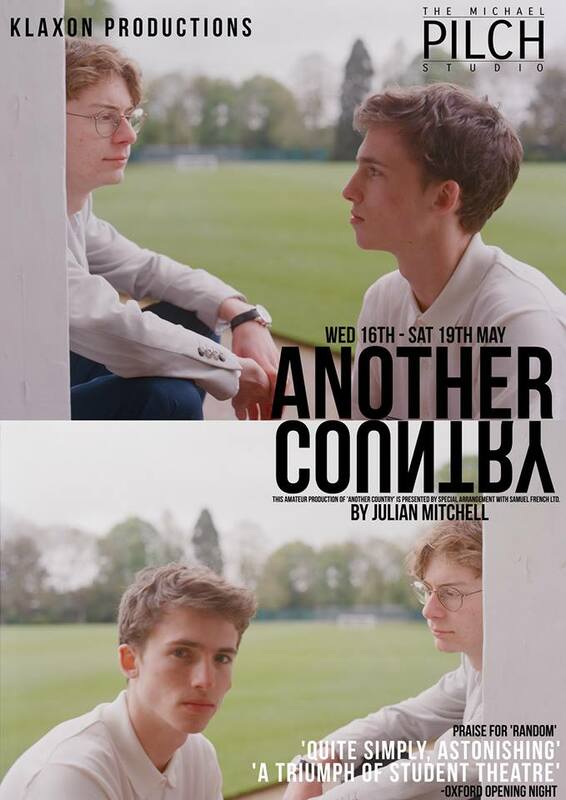 'Another Country' follows a company of public schoolboys through a summer term in the early 1930s where Bennett and Judd are both outsiders; one coming to terms with his homosexuality, the other already a committed Marxist. But the Establishment has traditional ways of dealing with rebels and when a scandal rocks the school, the young men must confront their beliefs and make choices which will have a momentous impact on their lives and on the future of their country. Another Country balances subtle wit and thought-provoking drama in a fictionalised account of a generation of young men, including Guy Burgess and John Cornford.